Often complete machining fails for lack of an effective I.D. clamping device. In many cases the jaw chuck is a makeshift solution. However, even conventional mandrels with slotted clamping sleeves quickly reach their limits in terms of accuracy, rigidity, and opening stroke. 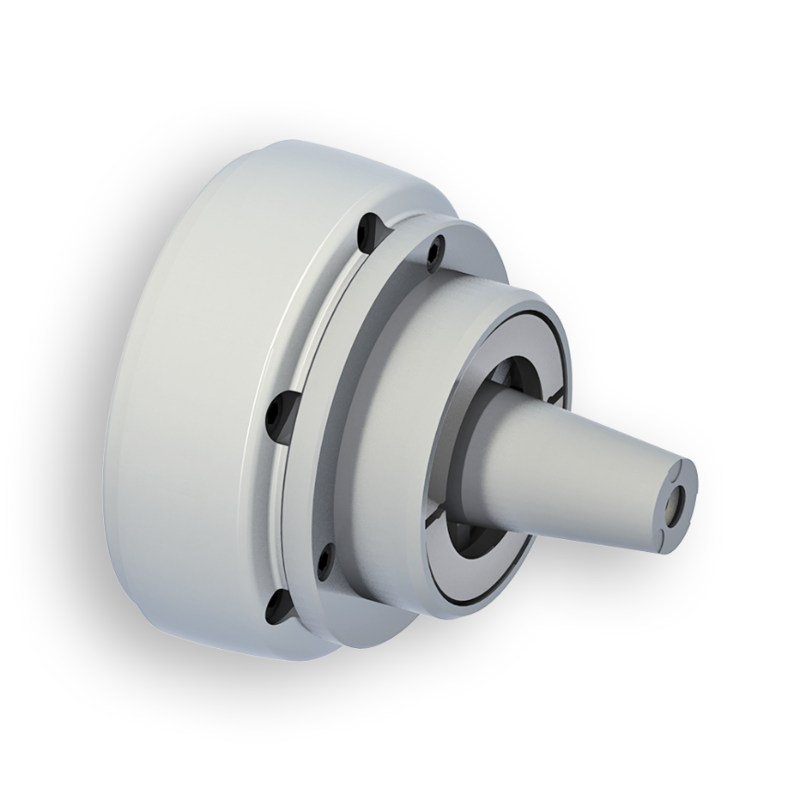 HAINBUCH segmented mandrels use state-of-the-art clamping technology that is convincing, even in the most critical applications. The central element is the vulcanized segmented clamping bushing. Because conventional clamping bushings are made of spring steel and are only annealed to spring hardness, they are »soft« and they must »bend« to clamp the workpiece. HAINBUCH segmented bushings, on the other hand, are made of case-hardened chromium-nickel-steel and have segments that are extremely hard, wear resistant and rigid. All contact surfaces are completely ground in one operation guaranteeing optimum concentricity.